Companies can make brilliant moves, but there are also times when things don't work out quite as planned. From an online educator getting schooled to a PC dinosaur showing signs of coming back to life, here's a rundown of the week's best and worst in the business world. PC sales continue to slide, but market leader HP is turning things around. Industry tracker IDC may have served up some grim metrics for the state of desktops and laptops -- global PC shipments were down by nearly 8 percent, making this the sixth consecutive quarter of slipping sales -- but IDC estimates that HP bucked the trend by shipping more computers than it did a year earlier. The trend is even better domestically. HP was already having a good week when CEO Meg Whitman explained why she felt her company was well-positioned to thrive in the future. The IDC report suggests that HP's rosy future is now. Online learning has come under fire in recent years. Are the students engaged enough? Is the education effective? Are the cost savings worth the shortcomings of the virtual classroom? We still don't have all of the answers, but we may be seeing enrollments peaking. Shares of K12 were slammed this week after the provider of Web-based curriculums for grade school students posted a disappointing outlook. K12 saws enrollments increased by a softer than expected 6 percent in its latest quarter. K12 also now sees revenue for the entire fiscal year that ends in June clocking in between $905 million and $925 million. Analysts were perched at $988 million. Ouch. That's not a passing grade. 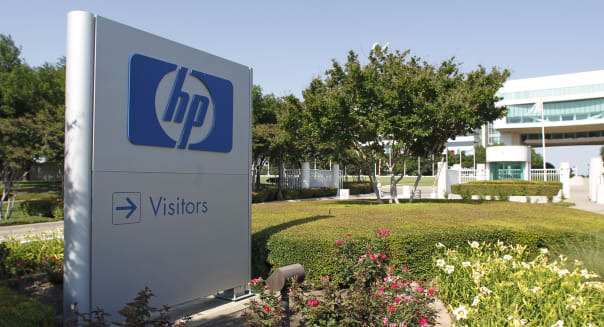 HP wasn't the only winner in IDC's review of the PC industry during the third quarter. Four of the five largest PC makers in this country saw their shipments increase. The lone holdout was Apple (AAPL) experiencing an 11 percent slide in Mac and MacBook sales during the period. %VIRTUAL-article-sponsoredlinks%That's sweet news for Microsoft as it struggles to keep up with Apple in tablets and smartphones. Microsoft's Windows is still the platform of choice for desktops and laptops, and it's welcome news that the four leading PC makers that are growing in this country happen to rely largely on the Windows operating system software. Shares of the struggling casual dining chain plunged 17 percent on Thursday after it posted a dreadful quarterly report. Ruby Tuesday posted a steep deficit, and same-restaurant sales plunged 11 percent. Casual dining in general has been struggling as it fends off the challenge of faster and cheaper fast casual darlings. However, you don't see too many chains outside of Ruby Tuesday posting double-digit declines in comps. Naturally Ruby Tuesday's guidance isn't all that encouraging. How do you bounce back when you're that far gone? There may be a harbinger in the way The Rolling Stones' "Ruby Tuesday" ends. It fades out -- quickly. Satellite radio is as popular as ever, and that's sending a lot of money to the business that has a monopoly in extra-terrestrial tunes. Sirius XM announced on Thursday that it would be buying another $2 billion of its stock in the coming months and years. Back in December, it announced its original $2 billion repurchase authorization, and it wasn't lip service. Sirius XM has bought back $1.6 billion worth of the stock. Buybacks aren't the best way for a company to spend money, but they are effective in improving a stock's value by giving the company fewer shares to divide earnings into, boosting profitability on a per-share basis. Motley Fool contributor Rick Munarriz has no position in any stocks mentioned. The Motley Fool recommends Apple and K12. The Motley Fool owns shares of Apple and Microsoft. Try any of our newsletter services free for 30 days.